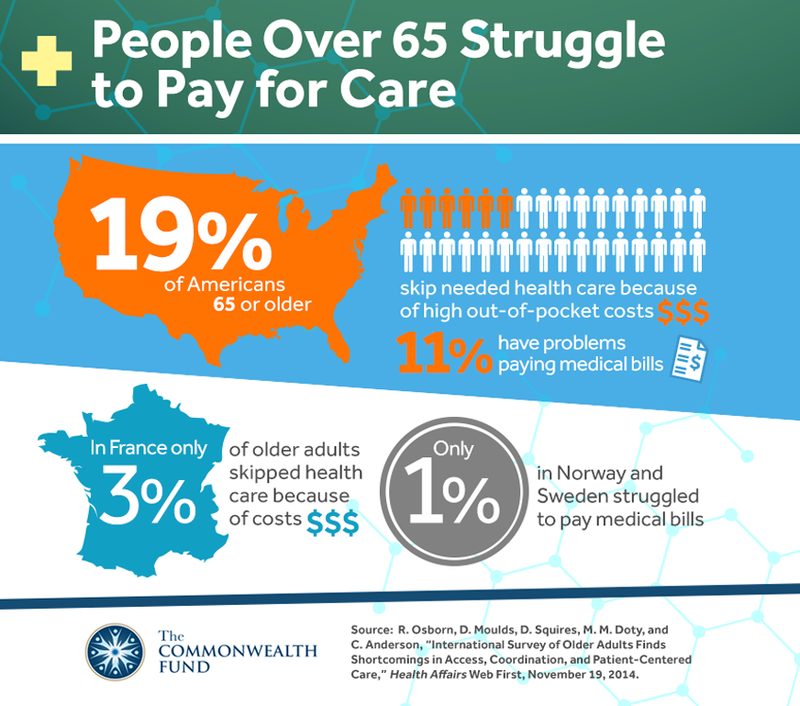 Despite Medicare coverage, 1 in 5 elderly Americans skipped care last year due to cost considerations. 11% struggle to pay medical bills. This is much higher than in other industrial countries. 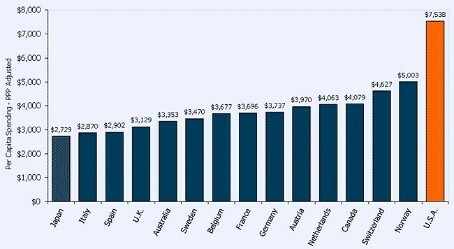 Notice that even the lowest income U.S. state spends more of its GDP on healthcare than any comparable country. 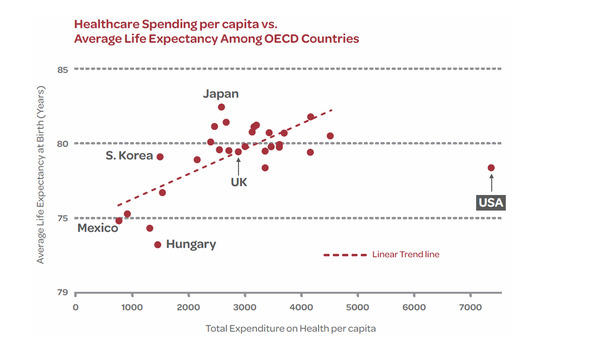 Also notice that other countries are achieving longer life expectancies at much lower cost. Costs to consumers continue to be outrageous and cause increasing anger among Americans. 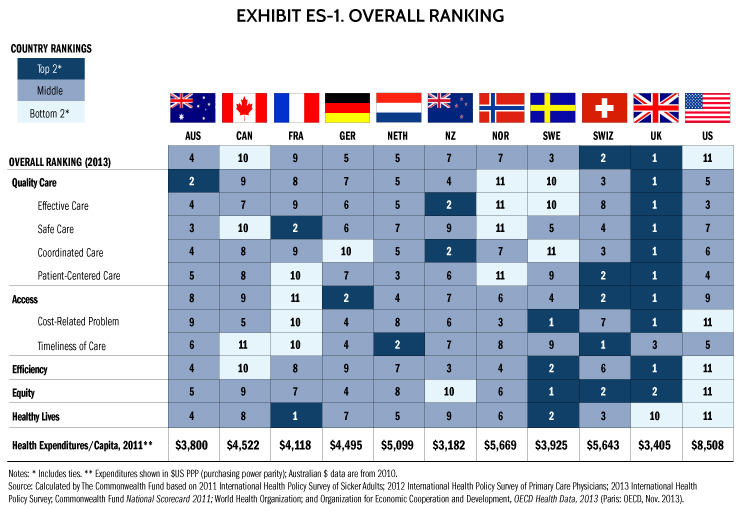 As a matter of fact, click on graph for a link to a new Commonwealth Fund study that ranks us last on many health quality measures. Survey of nearly 300,000 Americans shows extent of medical care delayed due to cost constraints. 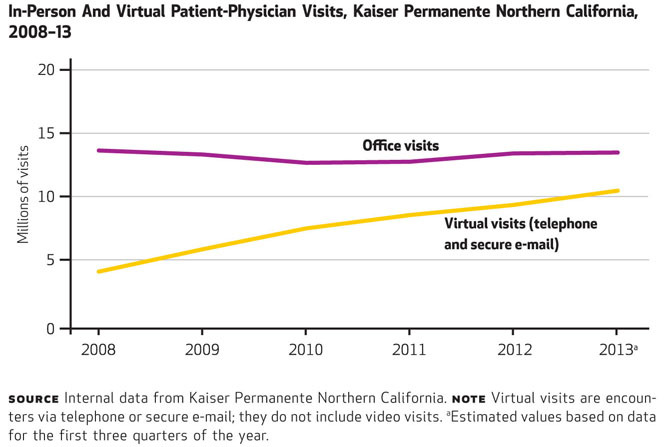 Graphically illustrating the cost/benefit problems with our healthcare system. 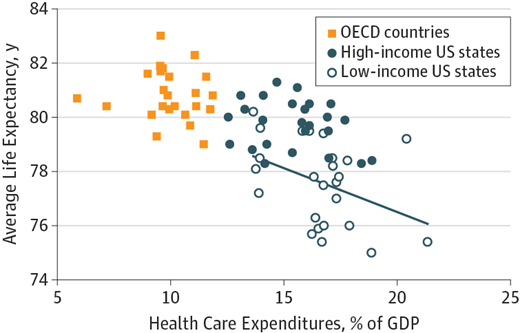 Life expectancy on the y-axis, cost on the x-axis. Notice the position of the USA. Taken from UC Santa Cruz's Atlas of Inequality, the US ranks just ahead of Cuba in life expectancy while spending vastly more than any other country. Only large-scale systemic reforms can improve this situation. We won't fix our system this way. General revenue transfers (taxes) are rising faster than any other source of income for Medicare. 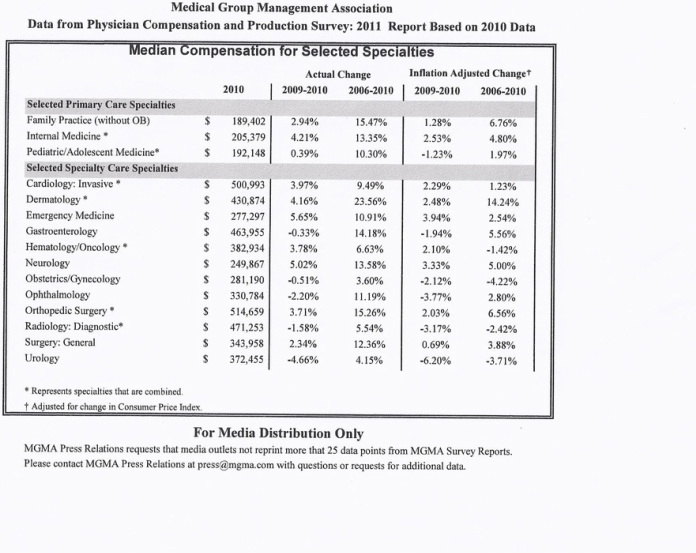 They pay for physicians' services and drug expenses. Texas has the highest percentage of Medicaid-eligible people not enrolled in the program. Taken from the Washington Post. 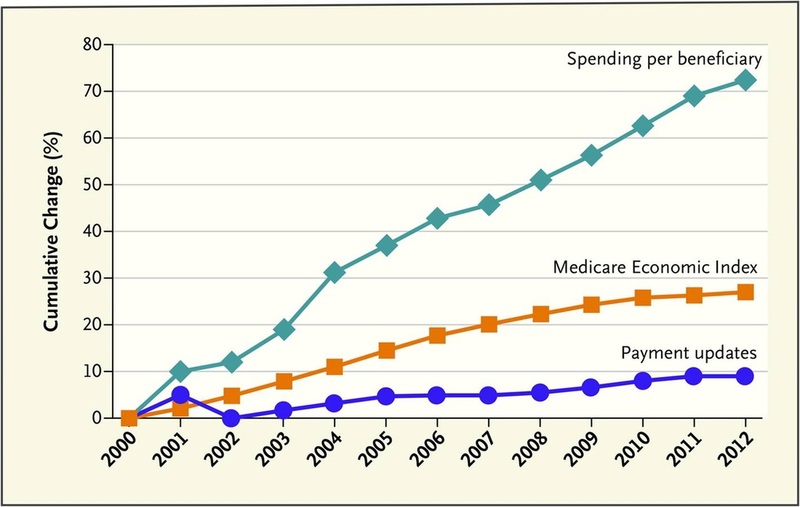 Medicare expenditures range from as low as $6200 in yellow areas to as high as $15,580 in dark red areas. Taken from The New England Journal of Medicine. Follow the pink line. It represents Medicare's Hospital Insurance Trust Fund. Already it is paying out more than it brings in, and it will be exhausted in 2026. See our page: Federal Realities for more details.